The World T20 is over but the Twenty20 season is not yet over. 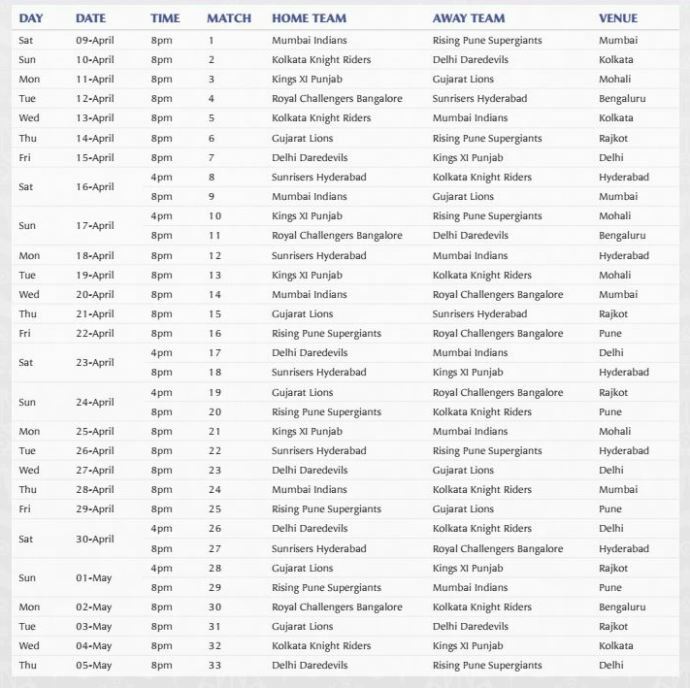 The ‘Festival of India’, as the promoters of the Indian Premier League (IPL) calls it, starts from April 9. The 9th season of the IPL will open with defending champions Mumbai Indians taking on new entrants Rising Pune Supergiants at their home ground, Wankhede Stadium in Mumbai. The final will also be played at the same ground on May 29. 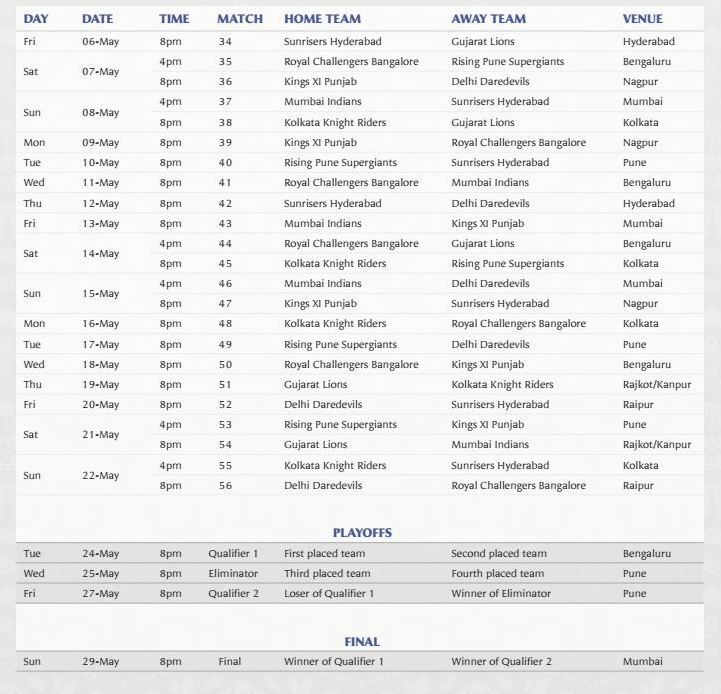 According to the schedule, a total of 60 matches (including the 4 play-offs) will be played over a period of 51 days, in the 2016 edition of the IPL. Mumbai high court ordered, BCCI to shift venue because of water related issue. You need to update schedule very soon.